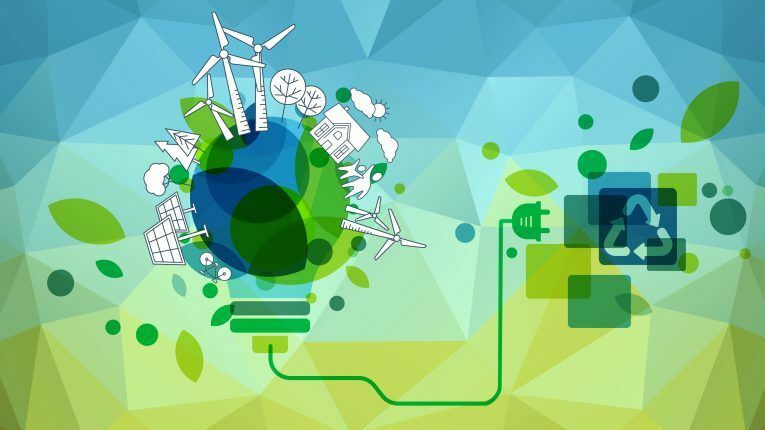 Recently, National Grid became the latest mammoth utility company to launch a corporate venture fund dedicated to nudging innovation related to clean energy. Its new Los Gatos, California-based investment arm is aptly called National Grid Partners. It represents the utility industry’s first big presence on Silicon Valley turf — longtime land of digital innovation, but not the usual stomping grounds for grid operations. And it’s already doling out funds to five companies: AutoGrid (an artificial intelligence and data analytics concern that could help with demand response applications); ClimaCell (a weather forecasting company); Leap (a marketplace working on energy trading services); Omnidian (which offers asset management and performance guarantees for investments such as solar panels); and Sitetracker (which sells project management software for managing infrastructure deployments). While National Grid didn’t disclose how much it has put into its first portfolio companies, the utility industry is investing quite liberally in technologies that it hopes will solidify its relevance during the clean energy transition. The most obvious expression of this is the existence of Energy Impact Partners, which works with 14 utilities (including National Grid, surprise!) to back “cutting-edge” energy technology companies. The fund raised $681 million in its first fund (finalized in September), and its portfolio includes Advanced Microgrid Solutions (management software), Arcadia Power (a provisioning service), CIMCOM Lighting (wireless lighting controls), Enchanted Rock (microgrid technology), Greenlots(electric vehicle charging infrastructure) and about a dozen others. What other big companies are sparking up official venture arms focused on clean-energy innovation? Here are some notable corporate venture organizations (listed alphabetically) that live under the wings of major U.S. and multinational utilities and (gasp!) some of the world’s largest fossil fuels companies. BP Ventures: The British petroleum giant has invested more than $400 million in 40 companies, along with more than 200 co-investors. It has money in Drover (carsharing), Freewire (electric vehicle charging), Fulcrum Bioenergy (creating biogas from household waste), Peloton (autonomous vehicles and truck platooning) and Victor (on-demand jets). Chevron Technology Ventures: Around since 1999, it focuses on six areas including water management, production enhancement and emerging materials. It has several investments in emerging/alternative energy including Acumentrics (solid oxide fuel cells), Ensyn(renewable liquid fuel) and Inventys (carbon capture). Constellation Technology Ventures: Part of Exelon, its investments include ChargePoint(electric vehicle charging), Ouster (lidar detection systems), Powerhouse Dynamics (facility energy management), Sparkfund (an energy efficiency financing platform), Stem (behind-the-meter energy storage technology) and XLFleet (drive trains for fleet electrification). Its initial investments typically range between $1 million and $10 million. Enel Startup: The Italy-based company manages eight “innovation hubs” worldwide, where it is collaborating on more than 165 projects. It has put resources into companies such as Archon (monitoring drones), Demand Energy (an energy storage company that Enel ended up buying outright last year), I-Em (maintenance and management for renewable energy plants) and Ultrasolar (which optimizes solar panel production). Engie New Ventures: The four-year-old organization focuses broadly on cleantech. Its investments include Advanced Microgrid, Airware (industrial drone applications), Gogoro(electric scooters and swappable batteries), Heliatek (organic solar film) and Homebiogas(residential biogas technology). Saudi Aramco Energy Ventures: Most of its 29 or so investments are in legacy oil and gas companies, but the fund is hedging its bets by backing companies such as Nexwafe (new materials for solar cell production), Oxymem (energy-neutral wastewaster treatment) and Zouk (a European equity fund focused on cleantech startups that has backed firms such as solar company Off Grid Electric and British electric vehicle infrastructure company EO Charging). Shell GameChanger: This accelerator program originally was created back in 1996, but the mammoth oil company added a cleantech component in September in collaboration with the National Renewable Energy Laboratory. (It’s modeled after the Innovation Incubator program created by NREL and Wells Fargo.) The initial focus is on energy storage technologies, and it will grant up to $250,000 in funding. Total Energy Ventures: According to its informational website, the venture arm of French energy company Total review more than 500 proposals annually. Its investments include Solidia Technologies (which embeds carbon dioxide in concrete and construction materials), Sunfire (a German company working on fuels that turn renewable natural gases into electricity) and Xee (connected mobility). *This article is drawn from the Energy Weekly newsletter from GreenBiz, running Thursdays.